Montreal : Patients with common widespread forms of cancer will enjoy longer life expectancy and reduced risk of recurrence thanks to a multimodal optical spectroscopy probe developed by Canadian researchers. 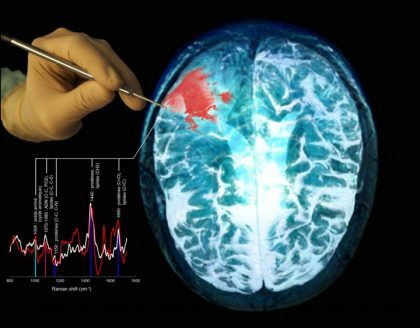 In 2015, scientists at Polytechnique Montréal, the University of Montreal Hospital Research Center (CRCHUM), the Montreal Neurological Institute and Hospital (The Neuro), McGill University, and the MUHC developed a hand-held Raman spectroscopy probe allowing surgeons to accurately detect virtually all brain cancer cells in real time during surgery. The research team has now perfected the invention and designed a new device with improved accuracy, sensitivity and specificity, capable of detecting not only brain cancer cells but colon, lung and skin cancer cells as well. In intraoperative testing, the multimodal optical spectroscopy probe detected cancer cells infallibly, with nearly 100 per cent sensitivity–in other words, when pointed at a cancerous region, the probe is never wrong. This breakthrough, details of which were published on June 28 in the American Association for Cancer Research journal Cancer Research, is the outcome of collaborative efforts between engineer Frédéric Leblond and neurosurgical oncology specialist Dr. Kevin Petrecca. The major advantage of this system is that surgeons can use it during a procedure to detect cancer cells in real time–a determination that is difficult to make via naked-eye observation. “A technology with extremely high accuracy is necessary, since surgeons will be using this information to help determine if tissues contain cancer cells or not. An important feature of this device is its broad applicability. We found that it effectively detects multiple cancer types, including brain, lung, colon, and skin cancers,” Dr. Petrecca concludes. The intraoperative probe developed in the laboratories uses the same Raman spectroscopy technology as the researchers’ first-generation probe to interpret the chemical composition of the tissue examined. First developed in 2015 and tested on more than 80 patients during surgery, the probe has now been perfected by its inventors. The new version is multimodal, also using intrinsic fluorescence spectroscopy to interpret the metabolic composition of the cells, as well as diffuse reflectance spectroscopy to analyze intrinsic tissue absorption in patients. During recent testing on 15 other brain surgery patients, sequential use of these high-sensitivity spectroscopy techniques–integrated into a single sensor coupled with a detection system, in combination with stimulating lasers, a highly sensitive camera, and a spectrometer–the surgeon benefited from molecular imaging that provided never-before-seen accuracy, with cancer detection sensitivity improved by about 10 per cent compared with the first-generation probe. The first-generation Raman spectroscopy probe is currently the subject of a randomized controlled trial involving patients with gliomas. The study will be the first in the world to demonstrate the clinical benefits of intraoperative probe use during brain surgery. The results will be used to establish the protocol for an upcoming clinical trial of the second-generation multimodal probe. In 2015, Dr. Petrecca and Professor Leblond created a company, ODS Medical, to commercialize the probe. They have since initiated the formal approval process with the U.S. Food and Drug Administration (FDA), to ensure transfer of the technology to hospital settings within a few years.